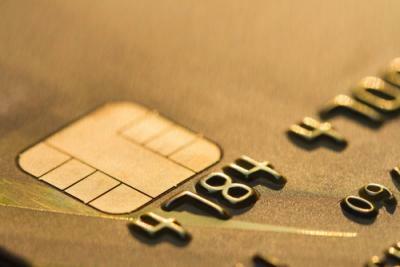 EMV Chip Cards - Does Your Staff Know? Given the strong dollar, some of our customers may be thinking about European vacations. It is a good idea to review the travel checklist before going. Do you have a current passport, a few Euros or Pounds for incidentals upon arrival, and a credit card with an EMV chip? These days most European businesses no longer accept credit/debit cards with only a magnetic strip, making a card with an EMV chip critical. The EMV chip system has been in place since the 1990s in Europe, so the Oct 1 deadline for adoption in the US is long overdue. After the deadline, in the US face-to-face transaction liability in the case of card fraud will revert to the party not using the chip system. To see how well banks were doing, we called a larger community bank and asked if they had a debit card with a chip. The rep who answered the phone and his supervisor both sounded like they had never heard of an EMV chip, although upon further questioning they did say "we are looking into that program." Again, this is a large community bank, so this answer was a little astonishing. Would the response be the same for a merchant services client calling to ask if they need a new machine? We checked with another community bank, and while they were aware of the EMV chip cards and had received several inquiries about them from customers who travel overseas, they did not yet have cards available and did not expect to until the required time. Plans were in place though. Trust is the most important part of any banking relationship and in order to gain and hold the trust of customers, staff training and basic knowledge are of paramount importance. Anyone answering customer service questions about debit and credit cards should know about the conversion to EMV chips and the Oct 1 deadline. They should also know the difference between chip and PIN, and chip and signature. This is especially true if the bank is in the merchant service business due to the ramifications for business customers. Your bank may decide to replace card readers for its merchant customers or to sell replacement card terminals to customers. Regardless of the approach, the process should be well planned and staff should be versed on the subject. There is a comprehensive Congressional Research Service report from Feb of this year that looks at various implications of chip card adoption in the US. The report notes the increased use of card for payments of all kinds in the US, rising from 23% of payments in 1997 to over 50% in 2011 (the most recent data in that report). Also during the same period, cash and check payments declined from 70% to 35%. Clearly card security and fraud prevention are very important, as cards are overwhelmingly the dominant payment channel - despite new developments in the digital space. Part of the debate is over the adoption of cards that require the use of a PIN or those that use a signature as American consumers are currently accustomed to. The use of a PIN is demonstrably more secure because if a card is lost, the PIN can be changed remotely (rendering the card useless). The level of fraud in non-PIN transactions with debit cards is about 5x higher than those requiring a PIN. But the chip and signature will be enough to meet the requirements of the new law. An interesting question that has arisen is whether the use of the PIN with a credit card will change the interchange fee structure. Clearly, there is more to be settled as the US adopts EMV chip cards and everyone will experience a learning curve. We would highly recommend that you get your staff up to speed on what we currently know and to do it immediately, so customers feel safe, secure and prepared. Treasury yields slid 3bps by the end of the day as ADP employment numbers came in well below the market forecast. Yields are currently down just under 2bps ahead of initial and continuing jobless claims. 1) 1880 Bank ($192mm, MD) will acquire Easton Bank & Trust ($133mm, MD) for $8mm in cash. 2) Wintrust Financial ($20.1B, IL) will acquire North Bank ($108mm, IL) for $17mm in cash. 1) CertusBank ($1.5B, SC) will sell a branch in NC to Aquesta Bank ($264mm, NC) for an undisclosed sum. In addition, Certus will sell a branch in NC to Communityone Bank ($2.2B, NC) for an undisclosed sum. After the sales, Certus will exit the state. 2) Mohave State Bank ($317mm, AZ) will sell a branch in AZ to 1st Bank Yuma ($215mm, AZ) for a deposit premium of 4.45%. The branch has about $17mm in deposits and $18mm in loans. 3) Sun National Bank ($2.7B, NJ) will sell a branch in NJ to Cape Bank ($1.1B, NJ) for a deposit premium of 4.0%. The branch has $34.1mm in deposits and $4.9mm in loans. Sun National said it also intends to consolidate 9 branches into other locations, as it seeks realigns its branch network following evaluation of market growth potential, cost efficiencies and other factors. ICBA announced it has launched Community Banker University, an educational platform that will provide training to community bankers. The University will reportedly provide training in-person and through webinars and provide courses on topics that include call reporting, wealth management, compliance and others. It looks like Stonier, AIB, PCBS, LSU and other banking schools will have some heady competition now that ICBA is in the game. Bloomberg reports that S&P says the small dollar lending industry (high cost payday, auto title, installment and other similar lenders) will see significant changes over the next 12 to 18 months, as the CFPB rolls out proposed regulations in this area. The move is an effort to crack down on high cost consumer loans.